With outspread hands in petition for that help, Life-giver, I will pray for the works of the Holy Spirit, you the Right, whereby I may please the will of decent thought and the Ox-soul. COMMENTARY: The first verse of the chapter tells about the primacy of Ohrmazd (Ahura Mazda) and the acts of worshipping Him. In other words, it’s the first prayer to Ahura Mazda whom Prophet Zarathustra calls the Life-giver. 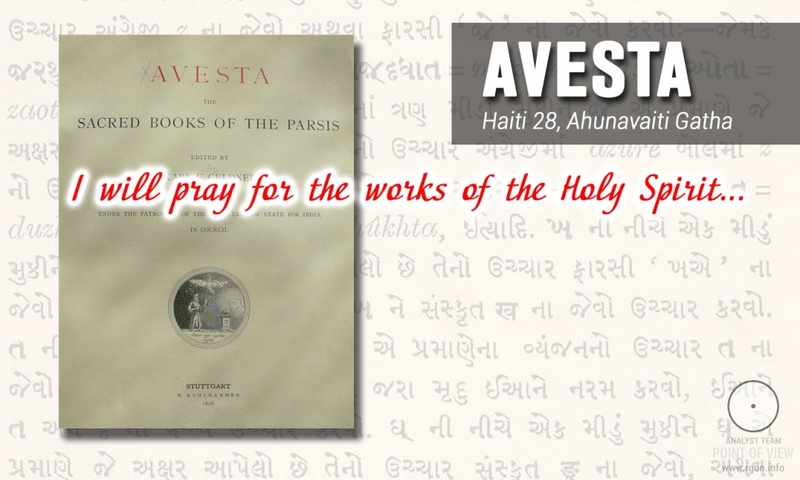 It refers to mental worshipping of Yazatas and all the bliss of such worship. In response Yazatas grant mercy coming from the Holy Spirit, i.e. 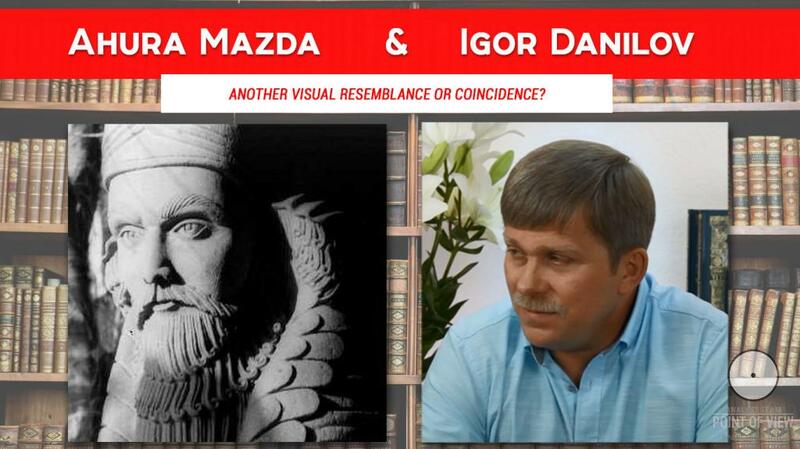 the generative power of Ahura Mazda. This hymn tells about the supremacy of hospitality with respect to the pious man, about the establishment of fire and Good Faith, about the primordial Mind of the Creator and the comprehension of every duty before His will and creation. (Denkard 9:28:1) Acts of worship is a human duty towards the Creator. Through such acts, the principle of Good Thought is satisfied, i.e. its implementation in accordance with the eternal Asha* – the law of the Creator’s creative plan aimed at granting bliss to living creatures whose souls are personified by the Ox soul (the soul of the Heavenly Cow, the universal wet nurse). By performing acts of worship and begging for generative mercy for the world, a human being favours the world prosperity. I who would serve you, Life-giver and Good Mind, do you give through righteousness the blessings of both worlds, the bodily and that of the Spirit, which set the faithful in felicity. COMMENTARY: The world created by Ahura Mazda is binary: the bodily world makes up only one of its parts and is secondary relative to the spiritual world. In later texts they are called Getig (the material, physical world) and Menog (the spiritual, heavenly world). Nonetheless, in one’s prayers to the Creator a perfect human gains blessings of both worlds according to the Asha law of harmony and supreme order. Such blessings bring the one who supports this law to grace, to felicity. I who would praise you as never before, Right and decent thought and the Life-giver, and those for whom Piety makes an imperishable dominion to grow; come to my help at my call! COMMENTARY: Zarathustra’s prayer and call for support had no analogues before him due to his piety, i.e. his total acceptance of Ahura Mazda’s will and submission to the universal law of Asha. The piety of Zarathustra and his followers maintains the supreme power of Ahura Mazda in the world. I who have set my heart on watching over the soul, in union with decent thought, and as knowing the rewards of the Life-giver for our works, will, while I have power and strength, teach men to seek after Right. COMMENTARY: According to the Denkard, Ahura Mazda said to Zarathustra, “You will reach Garodmana (the Abode of the Song), o pious Zarathustra! You know of the [rewards] for the deeds, o Zarathustra, which people have committed in the bodily world and that are committed today. At that, Yazatas have permitted humanity to gain the power of good deeds.” (Denkard9:28:2)Garodmana (the Abode of the Song or Sublimity) is God’s Highest Abode where the heavenly music of harmony reigns. In mental prayerful concentration the prophet feels that abode in his soul. A true Zoroastrian is well aware of such reward to believers for their deeds in implementation of the Lord’s will in this world. That is why he or she directs one’s energy and abilities to bring the world into compliance with such will as expressed in the Asha law. Righteousness, shall I see you and decent thought, as one that knows? (Shall I see) the throne of the mightiest Life-giver and the following of that the Life-giver? Through this word (of promise) on our tongue will we turn the robber horde to the Greatest. COMMENTARY: Zarathustra teaches how to promote Ohrmazd’s work. <…> That is when he sees Ohrmazd’s throne, for one can see this throne when he or she promotes Ohrmazd’s will in the world (Denkard50.16). The best way to promote the will of Almighty Ahura Mazda is obedience (Sraosha). One who promotes the law of Asha (Righteousness) in the world via good thoughts and who listens to His instructions is honoured with seeing Ahura Mazda. 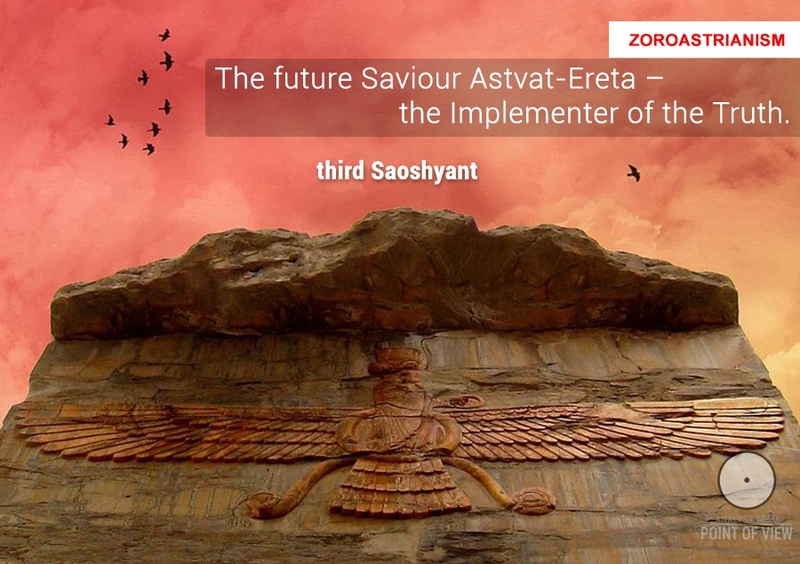 Such obedience is reflected in the mantra of Zoroastrian aspiration to avert evil and turn those obsessed by evil to the way to Ahura Mazda. Come with decent thought, give through righteousness, Life-giver, as the gift to Zarathustra, according to your sure words, long enduring mighty help, and to us, Life-giver, whereby we may overcome the enmity of our foes. COMMENTARY: The evil spirit – the greatest enemy of all good, who feels bitter towards good creatures – may be overcome owing to Ahura Mazda’s support. Righteousness, grant the reward, the blessing of decent thought; Piety, give our desire to King Vishtaspa and to me. Life-giver and King, grant that your prophet may command a hearing. 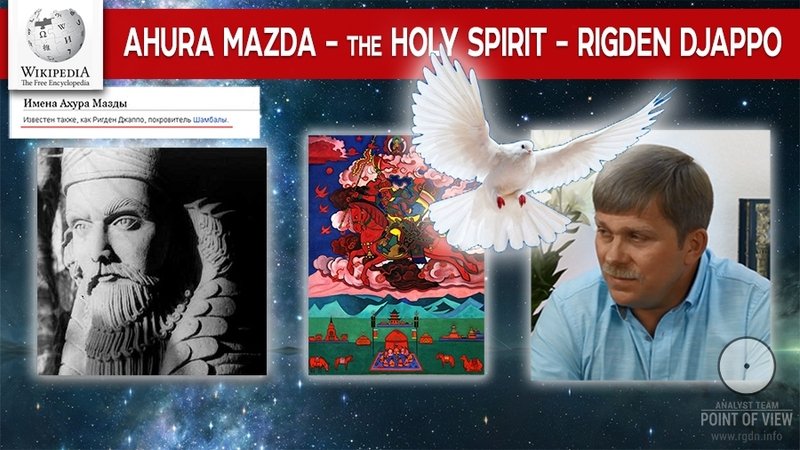 COMMENTARY: In response to his acts of worship Zarathustra expects to get the blessing of decent (good) thought, which is in power of Ahura Mazda, for himself and his biggest follower King Vishtaspa. The best I ask of you, best, Life-giver (Lord) of one will with the best righteousness, desiring (it) for the hero Frashaostra and for those (others) to whom you will give (it), (the best gift) of Good Mind through all time. COMMENTARY: Ahura Mazda is All-Kind and All-Graceful. The Asha law makes His inner essence, and He is the one to whom Zarathustra addresses his entreaties of the most righteous life full of good thoughts, for himself and his other follower Frashaostra. With these bounties, Life-giver, may we never provoke your wrath, Life-giver and Right and Best Thought, we who have been eager in bringing you songs of praise. You are they that are the mightiest to advance desire and the dominion of blessings. COMMENTARY: Human actions must not be aimed at violation of God’s commandments that convey His law and good plan. The human duty is to praise Amesha Spentas who are swift in rewarding and are masters of salvational blessings. The wise whom you know as worthy, for their right (doing) and their good thought, for them do you fulfil their longing for attainment. For I know words of prayer are effective with you, which tend to a good object. COMMENTARY: Here is what is said about Zarathustra’s praising, “You will not be rejected by us, Amesha Spentas, neither in life, nor in request, nor in open promulgation of Faith to others, nor in anything else, o Spitaman.” (Denkard9:28:6) One who in accord with Asha and Good Thought follows the law and the highest patterns given by Ahura Mazda will not be rejected. Amesha Spentas will accept his or her praising full of love and satisfy his pious desires. I would thereby preserve Right and decent thought forever, that I may instruct, teach me, Life-giver, from your spirit by your mouth how it will be with the First Life. COMMENTARY: Ahura Mazda said, “You are knowledgeable and have learnt this, o pious Zarathustra, via the wisdom of My mind, that what was the Initial Life and what will come during the Last Life.” (Denkard9.28.8) Owing to his good-intended love for Ahura Mazda, Asha and Good Thought are preserved in the world. One who has learnt this utters the words via the Holy Spirit, and through these words the initial world will be restored as created by Ahura Mazda – the world with neither aggression, nor counteraction, nor evil or destruction. This will take place at the end of times. Ashem Vohu*: Holiness is the best of all good… [Give] unto that man brightness and glory, give him the bright, all-happy, blissful abode of the holy Ones. Thus, we honour those of living men and women who have learnt goodness in worshipping Ahura Mazda via Asha.